Winding the Clock – O’Rahilly and the 1916 Rising. 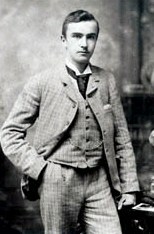 Aodogán O’Rahilly. The Lilliput Press, Dublin, 1991. Pages 245. I borrowed this book from Ulick O’Connor and I read it rather quickly but intermittently during the first few weeks of February 2005. The book is badly written and poorly edited, with some repetition and ambiguity. One has to re-read sentences to understand their contents. It is somewhat lacking in references of primary sources and one might like to have confirmation of the veracity of some of the author’s statements, particularly in view of the major role which his father appeared to play in the national movement, in the formation of the Volunteers, in the encouragement of the Irish language and in the part he played in the 1916 Rebellion. When the evacuation of the burning GPO became an urgent matter, and Pearse favoured immediate surrender, O’Rahilly heroically lead twelve volunteers into the adjoining Moore Street to attack the British barricade in the hope of continuing the rebellion and the fight against the British. If the author’s account is true, it was a gesture of heroism bordering on the suicidal and to the detached observer it must have seemed that he perceived himself in the light of a martyr, willing to sacrifice himself and his twelve men in this quixotic way despite an apparently hopeless situation. 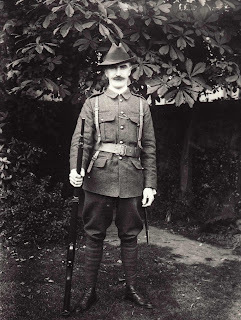 O’Rahilly was born into a North Kerry Catholic family which was apolitical and which like all the Catholics at the time supported the Irish Parliamentary Party. His father ran a general store in the small town of Ballylongford on the Shannon estuary. They were relatively well off. 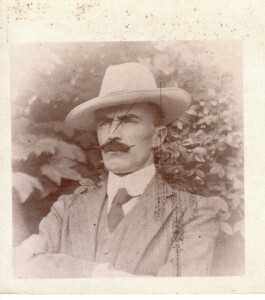 As he matured O’Rahilly became more and more interested in the national cause, in separatism and in the Irish language. 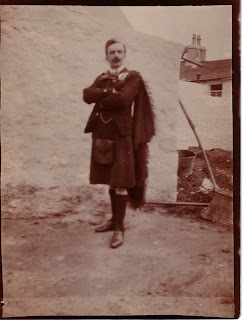 He was born Michael Rahilly but, as his gradual interest in the national cause developed, he added the O’ to his name. 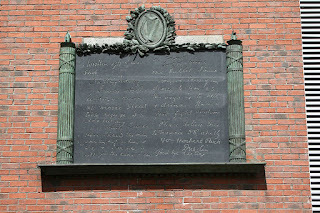 Later, as he moved to Dublin and became more acquainted with the leaders of the national movement, he signed his surname only, O’Rahilly, and eventually the O’Rahilly – an unusual eccentricity in a lad from the country, even if he had graduated to living in Herbert Park in the upmarket suburb of Donnybrook. Perhaps eccentricity was the norm in those times but it must reveal both courage and vanity on O’Rahilly’s part which may account for his remarkable confrontation with death. His letters published in the book may suggest that he had a death wish to satisfy his patriotic commitment. Perhaps love of country can be as irrational as the more conventional form of love. Or perhaps love of self and an obsession about others perception of self may be the clue to self immolation. 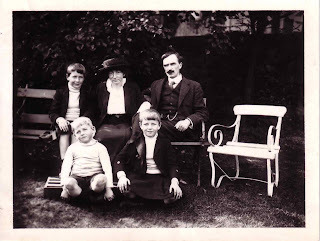 O’Rahilly had no career in terms of profession or active business but he had been left relatively well off after the sale of the family business following his father’s death, his mother’s retirement to County Limerick and his own unwillingness to take over. One of his two sisters married one of the Humphrey family, a family which was to become rabidly anti-treaty and to take part in the Civil War. I thought the author tended to be a little disparaging about Eoin MacNeill and even about Pearse but his carping appeared to be based on his anxiety to elevate his father’s role rather than diminish that of the two leaders. He talked about Pearse’s closest confidantes as his ‘cabal’. The author is also dismissive about the role of the IRB in the formation of the Volunteers and, oddly enough, in view of McAtansey’s biography, McDermott gets little mention. 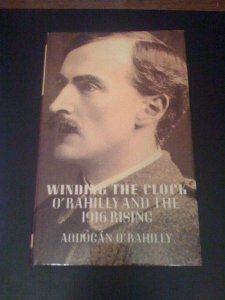 The reader’s impression, having read his account of the formation of the Volunteers, the build up to the Rising and the Rising itself, was that O’Rahilly was one of the most inspiring proponents of radical nationalism and one of the leading influences in the separatist movement. It is difficult to know how much is fact and how much is speculation for there is little evidence of primary sources of research apart from the personal letters which have survived. He refers to McGoey as the person who kept the British informed about the communications between Clan na nGaedhel and Germany but gives no information about his sources nor does he describe the source of his assertion that the British knew of the forthcoming Rising and, for Machiavellian reasons, allowed it to proceed without arresting the leaders beforehand. O’Rahilly was certainly full of passion in his later years and his full conversion to the cause of separatism is reflected in many others who started as supporters of limited home rule and finished in taking part in the Rising or, later, by opposing the Treaty. However, allowing for these criticisms, the book is not without interest. It gives a very detailed if somewhat jumbled account of the communication between Germany and Clan na nGaedheal in America before 1916, and the part played by Casement and others who were active in seeking German assistance for the Volunteers. It gives a detailed and interesting if somewhat undocumented account of the Casement landing in Kerry and the various shenanigans which went on in the attempt to land the arms from the German ship in Tralee Bay. Another aspect of the biography is the reminder of how quickly, within one generation, so many of the Irish people in the provinces rose from a peasant culture to success in the business, professional and political life of Dublin. His life encapsulates many of the social, cultural and political aspects of an Ireland where the disenfranchised Catholic majority of the population emerged to take their rightful place in the forward march of the nation. 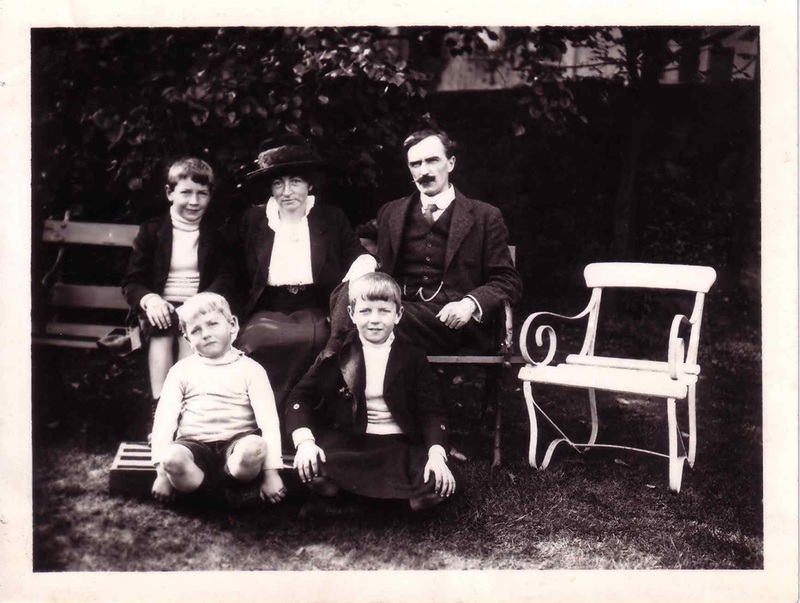 O’Rahilly, with his wife, spent some years in America where his business failed to thrive. He left America and went to live in Paris before eventually returning to Ireland and to live in Herbert Park in Donnybrook. He and his family were privileged in comparison to most of the emerging native Irish and he was unusual in that a person of his status should have got so involved and so committed to political and cultural separatism. Just after I had finished the book I met my cousin Joe McCullough at a history meeting at Trinity. Joe apparently knew the author well and described him as an impossible person because of his deeply fixed ideas and his rigidity. 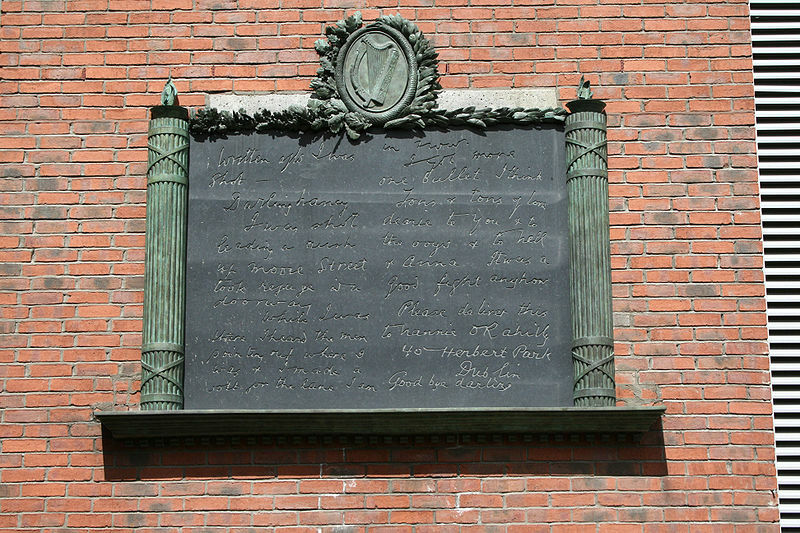 No doubt he must have been a chip off the old block, his father being so committed to such radical political ideals that he was willing to part from his wife and his four young children and to sacrifice his life and that of the other twelve volunteers who accompanied him on his foolhardy attempt to attack the British barricade in Moore Street. One of the twelve volunteers who accompanied him on his last journey was killed. Another was injured but there is no mention of the remaining members of the party. I expect they might have been more prudent about exposing themselves to the easy fire of the British while O’Rahilly, as stated by the author, forged ahead towards the barricade and certain death, refusing to look back in case he might demoralise those who were following. To those of us who live in more prosaic times it is a reminder that a commitment to a cause which leads to martyrdom may be, like any powerful emotional state, such as love, a form of madness. O’Rahilly deserves a biography based on objectivity and on adequate research, not a hagiography. He emerges from his son’s account as a passionate, vain, sad, courageous, quixotic and heroic figure. The O Rahillys house was in Ballsbridge opposite the American Embassy! He was a Magistrate in Co Kerry and also helped run his fathers, Richards, very lucrative buisness. After his father died he ran this but felt he had another calling in life! To say he had no trade is incorrect! As for his charge down Moore Street, it was a very brave act and at the time they had no idea that the fortress on the Parnell St end was so heavily manned and also had a Maxim machine gun in place! 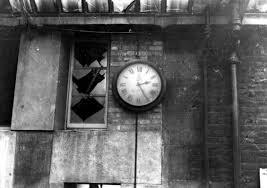 It was 13 men against hundreds, but their aim was to take over the Williamd and Woods factory as the GPO was now in flames! My grandfathers was the first act of Evacuation! The 350 GPO garrison were to follow vis evacuation route, Henry Place under tremendous fire, and enter no 10 The Terrace on Moore Street! See new documentary on U Tube., 1916 Battlefield., The Lanes of History! Premiere Tuesday 17th next Wynns Hotel 7Pm! Easter Rising Stories, Battlefield 1916! It was rushed but it gets our message re Battlefield site accross! Drumlins and other interesting things. Penguin - not just a flightless bird.